Buy and sell horse accessories including horse rugs, turnout & paddock rugs, stable horse rugs, mesh rugs, coolers and fleece rugs, summer and show sheets, neck rugs, horse hoods, rug accessorries, horse tail bags and exercise sheets, saddle pads, half pads, numnahs, horse boots, horse bandages, tail bandages, fly maks and ear bonnets, medical supplies and grooming supplies such as clippers, brushes, combs, hoof picks, sweat scrapers, mits, grooming kits, show and plaiting supplies, horse toys and treats as well as much more on Horsezone. 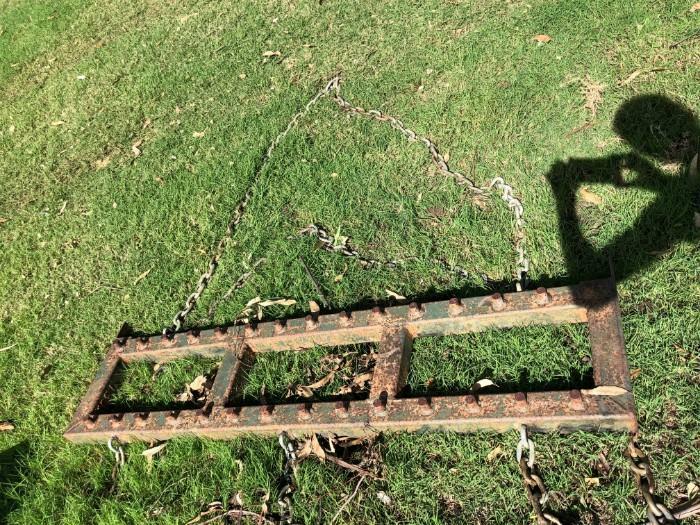 ELD AREAN RAKE purchased new for over $700.00 now selling for $350.00 ono. collect from my place or i can have it transported at the buyers expense.